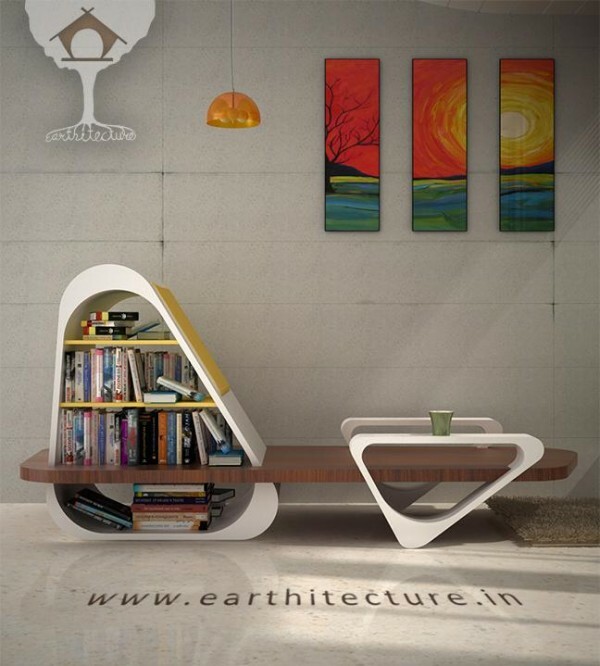 Creative and contemporary a leisure chair with library is designed by Earthitecture Studio for CHAIR HOUSE . This chair is designed for those who wants to have a portable small but creative library. 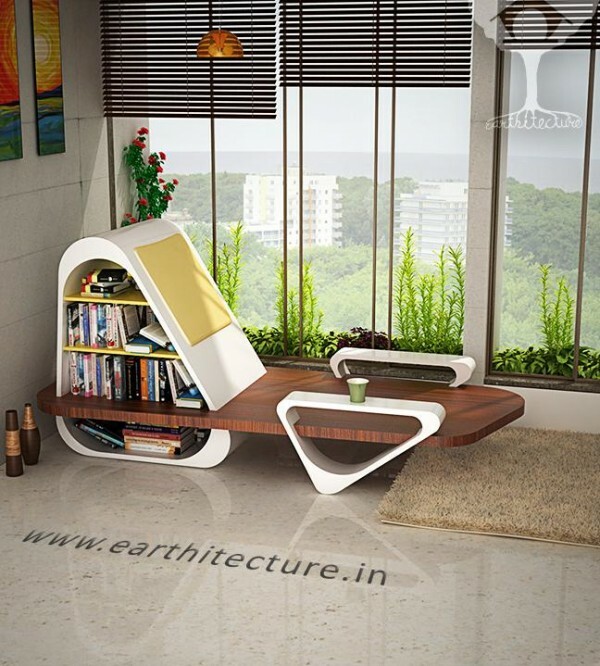 It is designed as a one furniture unit which can be a leisure seating, a coffee table or a book store. This chair is made out with three elements. One element is in triangle form in which the books can be stacks on shelves and the fron portion of the same triangle act as a back rest of the seating. the second one is in platform which turns out a seating. The third one is in another triangle form which is arm rest or can be a coffee or snack board.